YakGear is soon to release their latest invention. 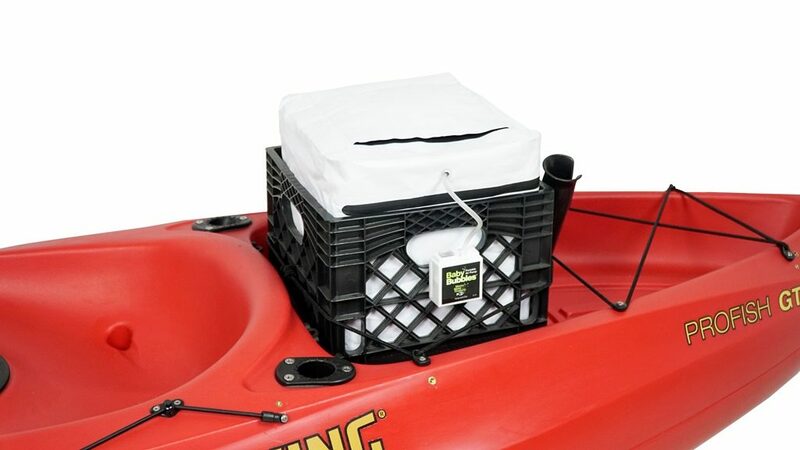 The CrateWell will give anglers the ability to use their existing kayak crate as a livewell or dry storage to keep important items protected while out on the water. HOUSTON – September 2017 – One of the most versatile tools in a fisherman’s possession becomes even more useful with the upcoming launch of YakGear’s newest product, the CrateWell. 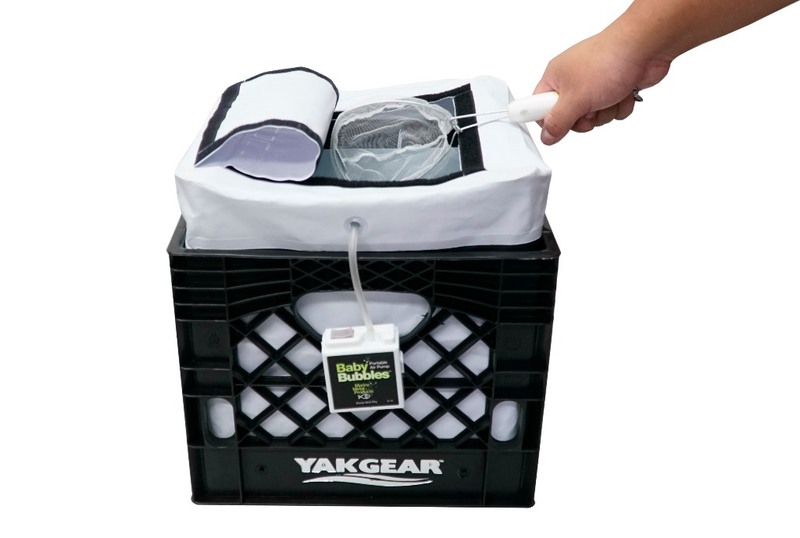 Available soon through yakgear.com and local YakGear dealers, the CrateWell upgrades kayak angler crates into livewells for bait or dry storage to keep important items protected. 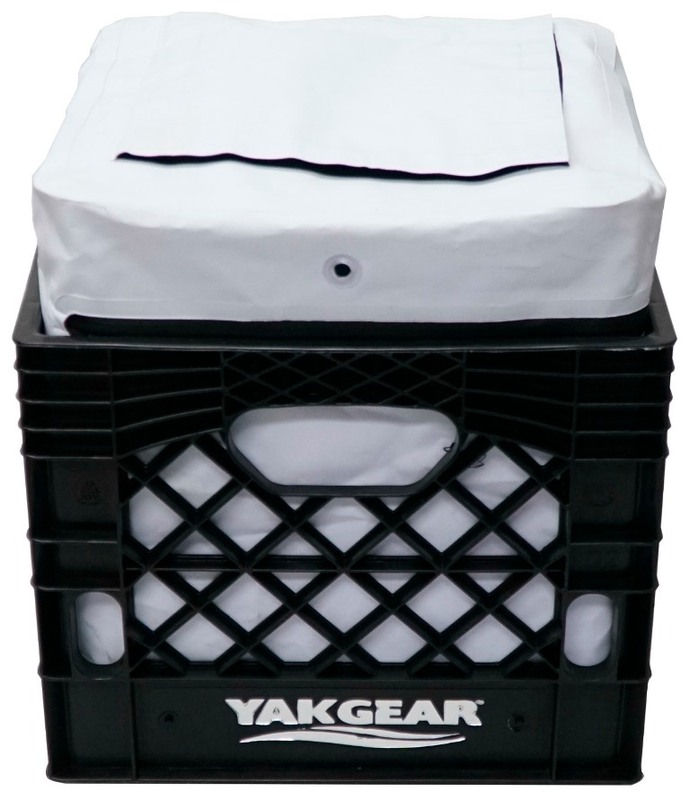 The YakGear CrateWell transforms kayak angler crates into livewells for bait, or dry storage to protect belongings. The product fits standard-sized milk crates, as well as taller varieties. Constructed of durable PVC tarpaulin, it fits standard 13-by-13-by-11 milk crates, as well as taller varieties. Its three-sided zipper and Velcro lid keep items inside dry, although added care should be implemented to protect belongings in instances of heavy water splashes, soaking or capsized watercraft. The versatile product can also be modified for a bubbler system, not included with the purchase. The CrateWell allows fishermen to upgrade and repurpose the milk crates many already have aboard their kayaks, boats and canoes, said YakGear President Bill Bragman. That proves invaluable when space is limited. The YakGear CrateWell adds versatility to kayak angler crates without taking up added space aboard kayaks, boats and canoes. For more information about YakGear or the company’s expansive product line, visit yakgear.com.